On this day in 1862, Abraham Lincoln wrote a brief but deeply revealing note to himself. At a dispiriting moment in the Civil War, Lincoln struggled to make sense of the ultimately unknowable will of God. Lincoln signing the Emancipation Proclamation. In the week prior, Lincoln had issued the Preliminary Emancipation Proclamation, announcing that on January 1, 1863, all slaves held in states still in rebellion against the Union would be declared free. Although the proclamation technically freed no slave, since only slaves in areas beyond Union control were included, it proclaimed the freedom of any slave who managed to reach the Union lines, and it issued a promise that freedom would come with the ultimate Union victory. In so doing it changed Union war aims, making the fight not simply an attempt to prevent secession, but also a fight against the slave-holding power, a distinction that would undermine the Confederate attempt to win foreign support for its cause. Yet in September 1862, Union victory did not seem inevitable. Lincoln had communicated his worries to Vice President Hannibal Hamlin on September 28. Responding to Hamlin’s congratulations on the issuance of the proclamation—a move Hamlin had long urged—Lincoln noted a disturbing attrition rate in Union troops. So on September 30, Lincoln began to accept a difficult possibility. Both sides in the war effort were praying to God for victory, but God could not favorably answer the prayers of both. Perhaps what God intended was an outcome neither side wished—that is, not a speedy victory, but a long, bloody, punishing struggle for both sides. Lincoln’s thoughts here flesh out an idea he would render eloquently in his Second Inaugural Address. Read Lincoln’s “Meditation on the Divine Will.” You may wish to compare the provisions of the preliminary Emancipation Proclamation to those of the final proclamation. The website also offers scholars’ essays, questions for classroom discussion, and lesson plans. You can find there a lesson plan co-written by MAHG professor Lucas Morel: Martin Luther King, Jr. and Nonviolent Resistance. 210 Years After the Louisiana Purchase and 120 Years After Turner’s “Frontier Thesis”: How Did an Expanding Frontier Shape American Culture? During the summer of 1893, a young historian presented a paper to the American Historical Society on the site of the World’s Columbian Exposition, also known as the Chicago World’s Fair. Frederick Jackson Turner’s essay, “The Significance of the Frontier in American History,” pointedly noted an announcement by the Census Bureau in 1890 that a western frontier as such no longer existed in the United States, since the entire continent had now been settled. Turner went on to explore what the fact of an expanding frontier had meant in the first century of the republic’s development, drawing large conclusions about the frontier’s effect in shaping a distinctly American individualism. Turner argued that the virtually free land of the west had provided opportunity and diffused social discontent; that in traveling west, Americans had shed many European cultural traits and shaped new ones, partly borrowed from native Americans; and that the necessary self-sufficiency of westward-moving settlers inclined them to devalue central governmental authority. He left open the question of how the nation would adapt to the closing of this frontier. Our friends at the Bill of Rights Institute have developed a new resource to help schools explore civic virtue in a functioning democratic society. Heroes & Villains: The Quest for Civic Virtue contains a series of 10 lessons designed for use in the classroom. Two free workshops are offered to aid schools in implementing these lessons. One workshop is scheduled for Thursday, October 17 in Topeka, Kansas, and the other will be held Friday, November 15 in Houston, Texas. Each workshop is designed for school administrators, curriculum coordinators, and classroom teachers. To learn more about these free opportunities, visit the Bill of Rights Institute website or contact Laura Vlk, the institute’s manager of programs and events. (image courtesy of Library of Congress). By 1798, those who a decade before had collaborated in the Founding were staking rival claims for the national future. Federalists saw America’s prosperity and security best ensured with an imitation of the fiscal policies of Britain, the former colonial master, while Republicans favored the alliance with France that had helped secure independence. With Britain now at war with a revolutionary France, either alliance had consequences. Meanwhile, the majority Federalist faction in Congress, viewing French and Irish immigrants as threats, passed acts extending the period of residence needed before naturalization and giving the president power to deport aliens he deemed dangerous. These Acts were followed by a Sedition Act aimed at American citizens who criticized federal officials and policies. Jefferson and Madison, rallying Republican opposition to acts they saw as unconstitutional, secretly drafted resolutions they offered to the Kentucky and Virginia legislatures that would call for the acts’ repeal. Jefferson’s draft cited in detail those portions of the Constitution and Bill of rights that the acts violated, while Madison’s more succinct and respectfully worded resolution deplored acts contrary to “the general principles of free government.” Kentucky and Virginia sent modified versions of these resolutions to Congress, but did not win support for repeal of the acts, which at any rate were set to expire at the end of President Adams’ term. On September 19, 1796, Washington’s Farewell Address was published in the major newspaper of what was then the national capitol, Philadelphia. After announcing his resolve not to run for a third term as president, Washington proceeded to advise his countrymen of what he felt were the best ways to retain their national unity. The letter, parts of which had been drafted by Madison and Hamilton–who were now on opposite sides of a growing factional divide–shows Washington’s concern to forestall dissensions that could weaken the young nation before it gained the prosperity and maturity to endure. For years, Washington’s character-driven leadership had helped to unite diverse views in a common purpose. Yet Washington understood that a critical early milestone for the new nation would be the peaceful transfer of executive power. 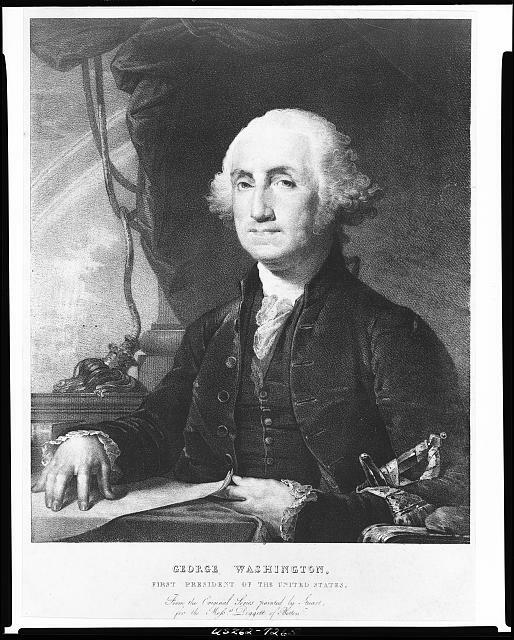 Read Washington’s Farewell Address, with Professor Christopher Burkett’s summary. Last week we posted links to a number of representative documents in the debate between “federalists” and “anti-federalists” over whether to ratify the Constitution. One was Federalist 51. In the last part of Federalist 51, Madison returns to the argument he made in Federalist 10, explaining more fully why a majority faction that oppressed a minority would be unlikely to develop in an “extended republic.” Professor David Foster of Ashland University analyzes Madison’s argument, hailing it as a unique contribution to the history of political thought. For a lesson plan suggesting ways of teaching this key Federalist paper, see “Federalist 51 – Protecting the Rights of the People?” by Professor Gordon Lloyd of Pepperdine University and high school teacher Natalie Bolton. 16th Street Baptist Church in Birmingham, Alabama, photographed by John Morse (Wikimedia Commons). In the early fall of 1963, a climactic year in the civil rights struggle, an event in Birmingham, Alabama shocked the national conscience: the bombing on September 15 of Sixteenth Street Baptist Church. Four young girls who were walking into Sunday school class were killed by a bomb planted by Ku Klux Klan members near the basement assembly room. The targeted church had been a rallying point for civil rights activities that had led to an agreement with city leaders in the late spring to begin integration of public places. Martin Luther King delivered the eulogy at the funeral service for three of the girls on September 18. He opened with words that shifted the moral emphasis away from outrage at the terrorists who set the bomb and toward a general examination of conscience, as he called on all Americans, ordinary citizens and officials, blacks and whites, to abandon passivity in the face of racial injustice—beginning with “every minister of the gospel who has remained silent behind the safe security of stained-glass windows” (the bomb blast had blown out all but one of the stained glass windows in the church). Read “Eulogy for the Martyred Children,” Martin Luther King, Jr.,September 18, 1963. This year marks the 150th anniversary of the issuance of the Emancipation Proclamation and the 50th anniversary of the March on Washington, seminal events in America’s effort to deal with and overcome the legacy of slavery. Key to understanding that legacy is the place of slavery at the 1787 Constitutional Convention and thence in the US Constitution. On September 17th, the American Enterprise Institute will present the second annual Walter Berns Constitution Day Lecture. Michael Zuckert, Nancy Reeves Dreux Professor and chair of the department of political science at the University of Notre Dame will critically examines the leading “pro-” and “anti-slavery” interpretations of the Constitutional Convention and offer an alternative analysis tied to a more accurate and less anachronistic reading of the principles and politics of the founding era. This Constitution Day will be held on Tuesday, September 17, 2013 from 5:00 pm to 6:30 pm, Eastern time. The lecture may be attended in person at the AEI offices in Washington, DC, or you may watch event online live. After the Constitutional Convention finalized a plan of government in September 1787, a long public debate began. Each state would call its own convention to deliberate and vote whether to ratify the new Constitution. In the meantime, opponents of the Constitution aired their objections in essays published in major newspapers and circulated in pamphlets; those supporting the new plan did the same, most famously in the collection of essays (coauthored by Alexander Hamilton, James Madison, and John Jay, but appearing under the shared pseudonym Publius) called The Federalist. Today, scholars regard The Federalist as the most thorough exposition of our Constitutional form of government ever written, and students of politics continually mine these essays for insights into the problems representative government must overcome if it is to survive. But the arguments of the antifederalist writers are also worth examining, since they spell out some very practical worries facing those who had to decide whether to ratify the Constitution. Moreover, it is easier grasp the ingenuity of the arguments made in The Federalist if one is familiar with the other side of the debate. Brutus No. 1, October 18, 1787: Consolidating the states under one unified government will lead either to despotism or anarchy, Brutus says, citing the political philosopher Montesquieu. Either the government will fall apart because the representatives split into many factions, or a single wealthy person will seize an opportunity to dominate everyone else. Law enforcement will be difficult because of the distance and time separating the seat of government from the furthest states, leading either to anarchy, or the forcible execution of the law by military means. Brutus No. 4, November 29, 1787: Support for federal law will be lacking because of the diversity of interests among the people of various regions and because those making laws will deliberate at a distance from their constituents and not be personally known to or trusted by them.http://teachingamericanhistory.org/library/document/federal-farmer-ii/, October 9, 1787: A powerful central government would favor the states near the seat of government and disadvantage the “remote states,” who could not adequately represent their interests. The Federal Farmer (Richard Henry Lee) No. 2, October 9, 1787: A powerful central government would favor the states near the seat of government and disadvantage the “remote states,” who could not adequately represent their interests. Alexander Hamilton, The Federalist No. 9: Hamilton gives another interpretation of Montesquieu, countering the argument in Brutus No. 1 that large republics soon break down into anarchy or yield to despotism. James Madison, The Federalist No. 10: Madison says that one may hope a small number of representatives drawn from a large population will be more likely to legislate with a mind to the general public good than would those who represent fewer people. But in cases where representatives stubbornly pursue factional interests, the combination of representatives of many different interests will prevent any particular faction from getting the upper hand. James Madison, The Federalist No. 51: Madison’s long discussion here covers both the danger that one part of the government (legislative, executive, or judicial) will dominate over another and the danger that within the legislature, a majority faction will suppress the rights of a minority. He outlines the safest way of dividing the three powers and then elaborates his argument in No. 10 that the multiplicity of factions represented in the central government will prevent a single faction from dominating. During the Revolutionary War and in the first years following independence, the new American states were joined in a loose confederation with a weak central government, spelled out in the Articles of Confederation. The weaknesses of this original plan for government are revealed in letters circulated between many of those who would later attend the Constitutional Convention in 1787. Below are a collection of these letters, found in our online library. Robert Morris, Letter to the President of Congress, March 17, 1783: Morris, the National Superintendent of Finance, writes to the presiding officer of the Continental Congress to explain that there is no more money in the public treasury to cover obligations, and no likelihood of obtaining further loans from such foreign allies as France. Gouverneur Morris to John Jay, 1 Jan. 1783: Gouverneur Morris, Assistant Superintendent of Finance, writes to John Jay—who was then in Paris helping to negotiate the treaty that would end our war of independence—to advise him that the Continental Army have not been paid and that if the situation persists it will lead to a crisis. Rufus King, Letter to Elbridge Gerry, April 30, 1786: King, a representative to the Continental Congress from Massachusetts, writes to former Massachusetts representative, Gerry. He bemoans the inability of the Continental Congress to compel the states to contribute to the shared treasury. George Washington to John Jay, 15 August 1786: Washington replies to a letter from the Secretary of Foreign Affairs, John Jay, who has pointed out that several of the states have violated parts of the 1783 Treaty of Paris. John Jay to Thomas Jefferson, 27 October 1786: Following the outbreak of Shays’ Rebellion, Jay writes to Jefferson, then serving as US Minister to France, to update him on difficulties in Congress that reflect “an impatience of government” observable in the states. For a good overall presentation of the problems that the 1787 Constitution sought to overcome, see Alexander Hamilton, The Federalist, No. 15 — especially the third paragraph. Professor John Moser of Ashland University helps us understand the context and significance of an action President Truman took 65 years ago to begin desegregation of our military. On July 26, 1948, President Harry S. Truman issued Executive Order 9981, which prohibited racial, ethnic, and religious discrimination in the armed forces. It mandated “equality of treatment and opportunity for all persons in the armed services without regard to race, color, religion or national origin,” thus paving the way for the end of segregation in the military. Although some all-black units continued to exist through the Korean War, the last of those units was eliminated in 1954. The origins of Executive Order 9981 lay in an earlier order, 9908, which Truman issued in December 1946. That order authorized the creation of the President’s Committee on Civil Rights, charged with investigating the condition of African-Americans in the country and to submit recommendations on how their situation might be improved. The committee’s final report, “To Secure these Rights,” was published in October 1947, and one of its primary recommendations was that the federal government eliminate segregation within those agencies under its control—including the armed forces.